Art-C: Salvador Dali, a Maverick & an extremely gifted artist!!! 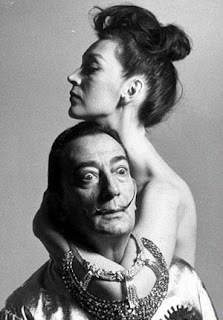 Salvador Dali, a Maverick & an extremely gifted artist!!! More than knowing Dali as an artist, I was fascinated with his name from a very young age & being very inquisitive, I have tried to find out everything about the man & his body of work. Impressive is the only word that comes to mind!!!! Salvador Dali (11/05/1904- 23/01/1989), was a famous Spanish painter whose surrealist works were known for their striking & bizarre images, mostly influenced by the Renaissance period. He was very prolific in his works & his repertoire included film, sculpture, and photography, in collaboration with a range of artists in a variety of media. He studied art in Spain & France being influenced by the cubist movement & Picasso initially but later moving to surrealism. He also used both classical & mordern techniques in his work often using art as a strong political message. In his later years, his paintings were strongly influenced by science & he employed holography & optical illusions in his work being among the first artists to do so. Some artists even considered him an important influence on 'Pop art'. His free-thinking sometimes eccentric works, although based on surrealist philosophy angered many people of the time. 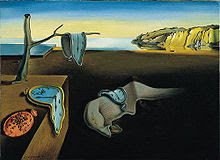 The most famous of his works was the painting, 'The persistence of memory' which comprised of a surrealistic image of soft, melting pocket watches. 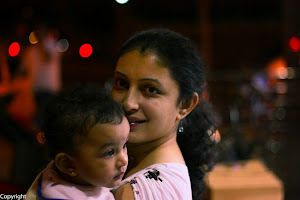 The general interpretation of the work is that the soft watches are a rejection of the assumption that time is rigid. This idea is supported by other images in the work, such as the wide expanding landscape, and the other limp watches, shown being devoured by insects. Throughout his life, Dali, in his ever-present long cape, walking stick, haughty expression, and upturned waxed mustache was known as an eccentric who displayed often bizarre behaviour, delivering lectures wearing a deep-sea diving suit, wearing a glass case containing a brassiere to a party, knocking over a projector at a film screening in a fit of anger. Although he gained fame & notoriety often for his behaviour rather than his work, he always justified it as a free-thinking act of surrealism but critics found in it, a desperate act of seeking fame & fortune. No matter whatever was spoken about the man, his prolific work of more than 1,500 paintings, sculptures, instruments (Lobster Telephone and Mae West Lips Sofa), illustrations, lithographs & designs are an incredible legacy & show the persona of a man who defied society & lived life on his own terms often considering himself the greatest which he described in his own words: "every morning upon awakening, I experience a supreme pleasure: that of being Salvador Dalí."!! !